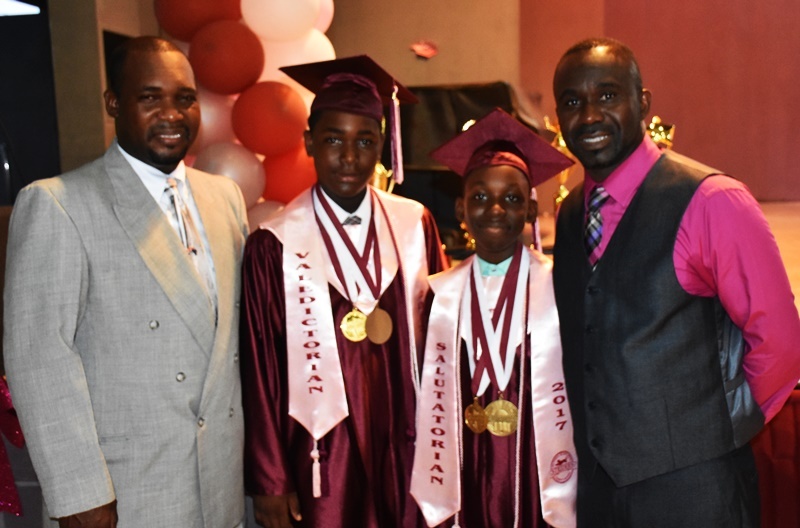 Two fathers watched in awe as their sons collected trophies upon trophies yesterday for outperforming their batchmates – especially the females – to be declared the top two students in academics this year at Althea Scatliffe Primary School in Road Town. The top finishers, who sat beside each other on the platform throughout their exit ceremony, also swept virtually all subjects, leaving only one for a female. 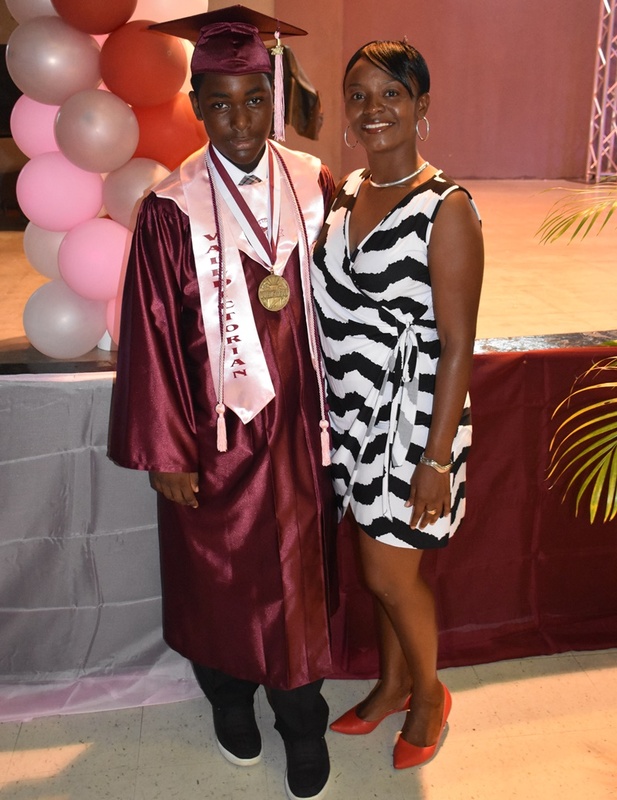 Andre Smikle, who has been topping his batch since he was in Class Two, upheld that trend to be declared the Althea Scatliffe Primary top performer for 2017. He outperformed 79 other graduates in Mathematics, English, Physical Education, and Science. His closest challenger, Amarie Blyden, was the best performer in Music and Spanish. The only female who copped a spot in the top three students, Desarie Maynard, rules in Social Studies. 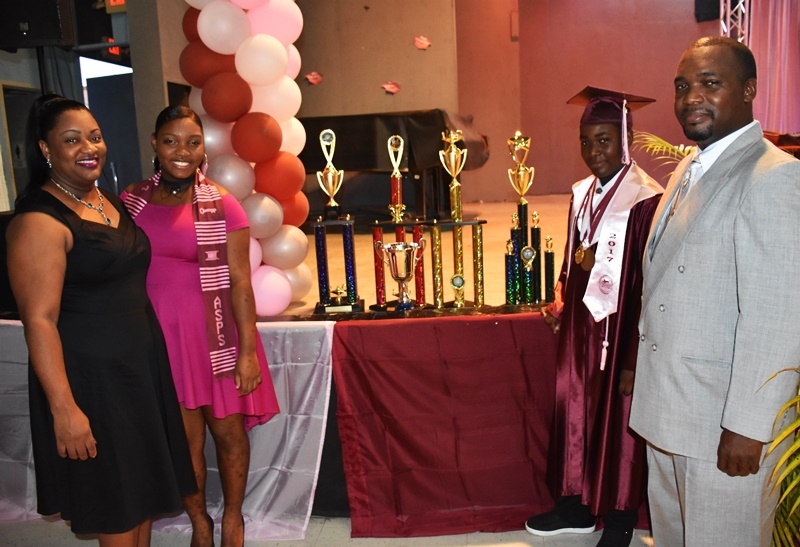 Andre, the top student, stated that he has been studying hard over the years in order to make his name somewhat of a permanent fixture on the school’s Honour Roll and the Principal’s Roll. 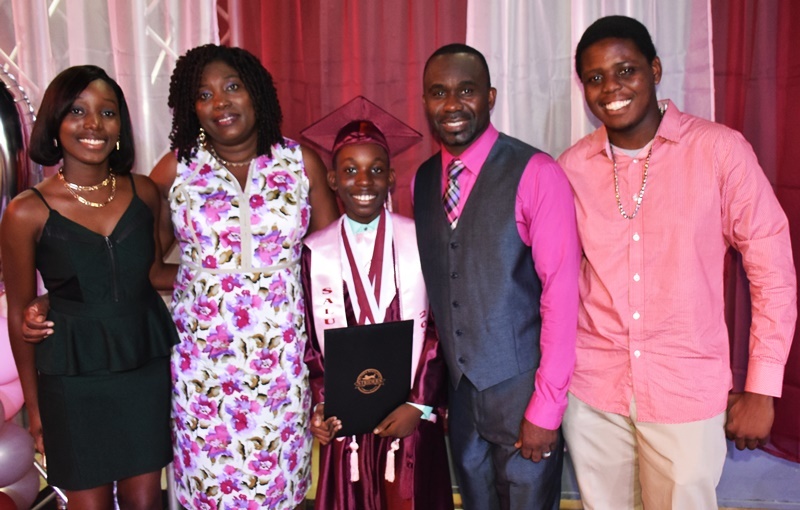 The 12-year-old, whose father is a police officer and mother a teacher at the Althea Scatliffe Primary, hopes to be an inspiration to other students, especially to males who traditionally have been outpaced by their female counterparts in academics. “Study hard and keep moving forward,” Andre said when asked what advice he would give his peers. Hard work and success are no stranger to the Smikle family. 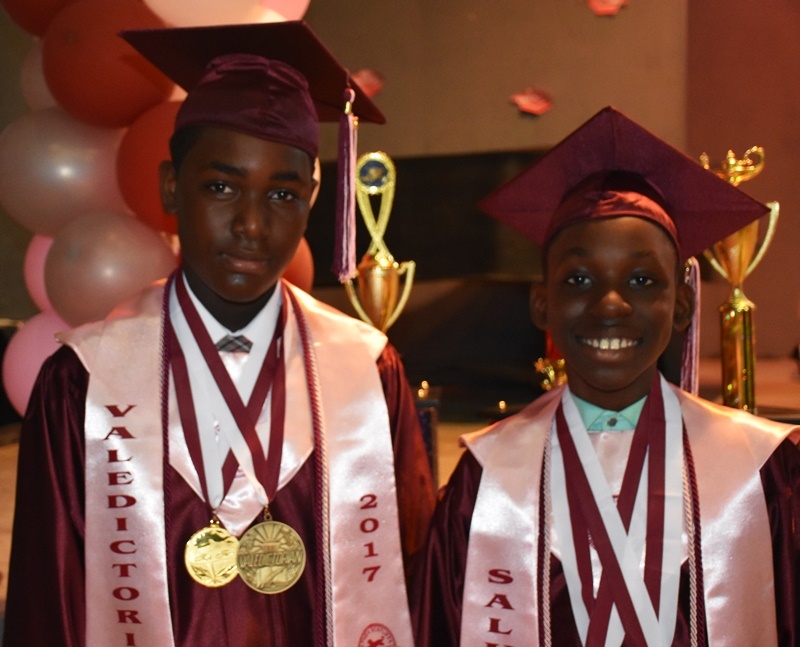 Algon Smikle, who is the top performer’s father, was also the top student several years ago when he graduated from the Broadleaf Primary School back home in the parish of Manchester, Jamaica. In fact, he was the only male who graduated that year. “I graduated at the top of my class just like my son has done now. I actually encouraged him to do the things that I did,” said the proud father. 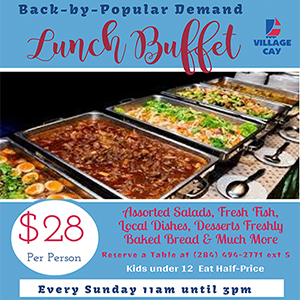 He further told BVI News Online that he is ensuring that his son grows up as a well-rounded individual. “In these times, males are somewhat on the back-burner, and females are taking over somewhat in terms of education. I can say my son is not standing by and making that happen; he is also moving forward,” added the elder Mr Smikle. 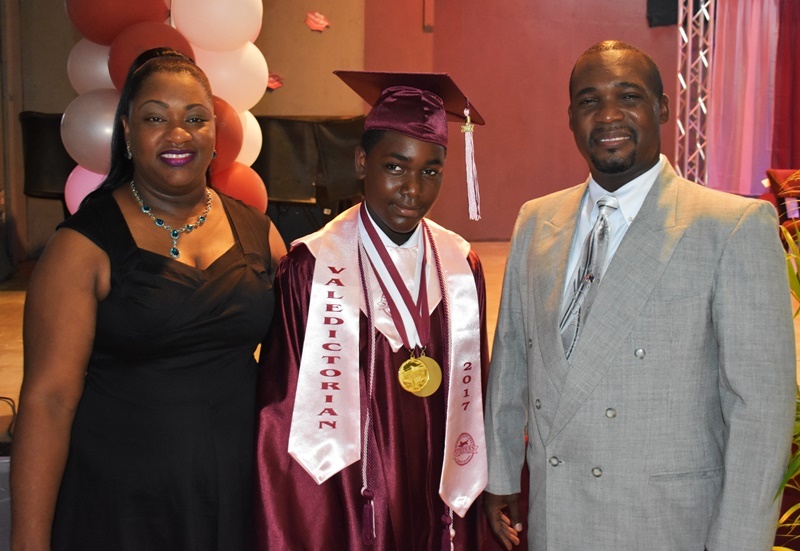 Davene Harris-Smikle, who is the top performing student’s mother, is now accustomed to celebrating academic success. Nothing surprises her anymore. Paul ‘Gadeithz’ Peart, who is a well known radio disc jock in the community, was among persons basking in the top achiever’s achievement. He is the young scholar’s godfather. 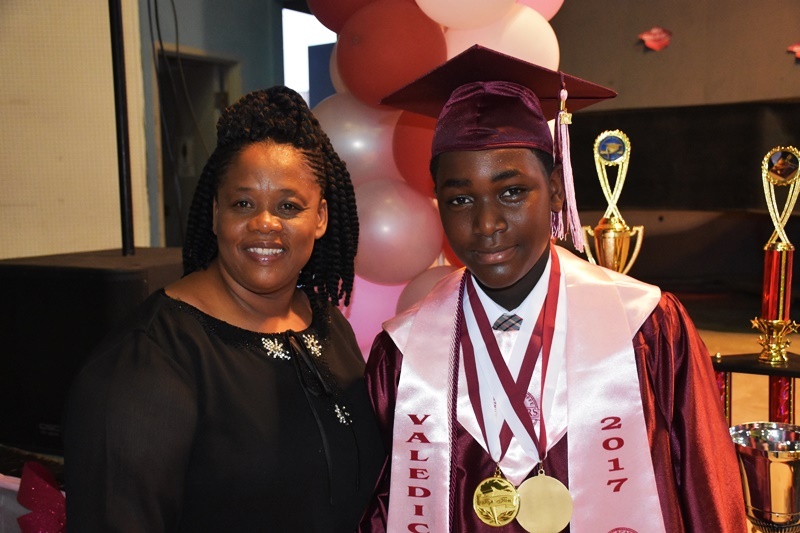 “It is such a pleasure to know that young people like Andre are being a shining example of what the future holds, not only for the British Virgin Islands but also for the world,” Peart said. Meanwhile, the male student who finished second, Amari, does not feel less accomplished. 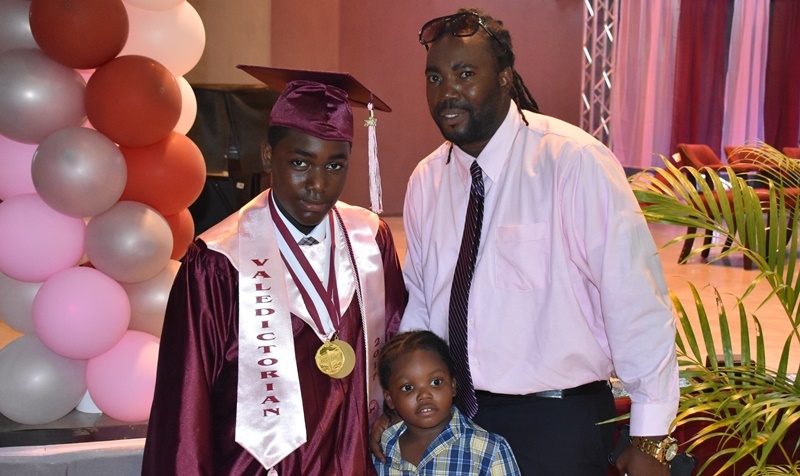 His father, Allan Blyden, is ecstatic that his son is heading into the right direction. “I feel very proud that he has won the second place. He is a hard worker, and he studies a lot. So it is a great moment for him and for us as a family,” he said.